Styled with salomé sweater . 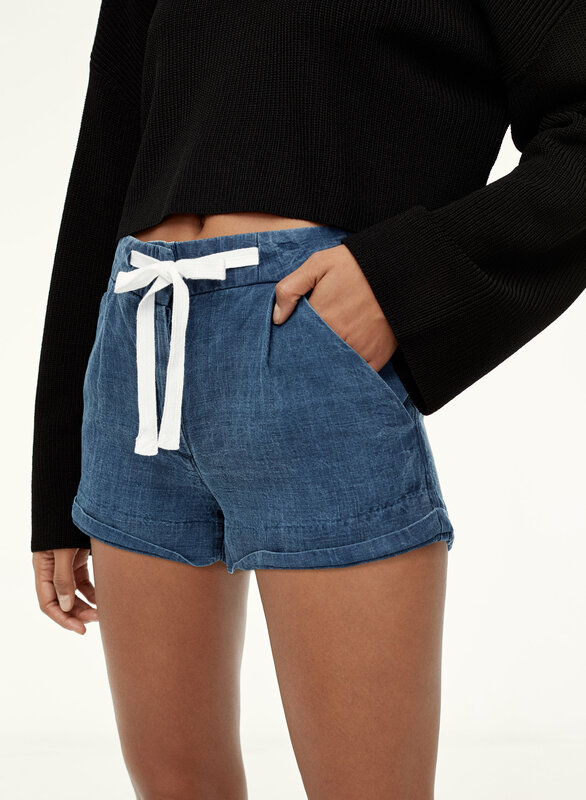 Made with a smooth linen blend that emulates the look of vintage denim, these shorts have that easy, breezy thing on lock. Love these shorts so much! True to size and really flattering. 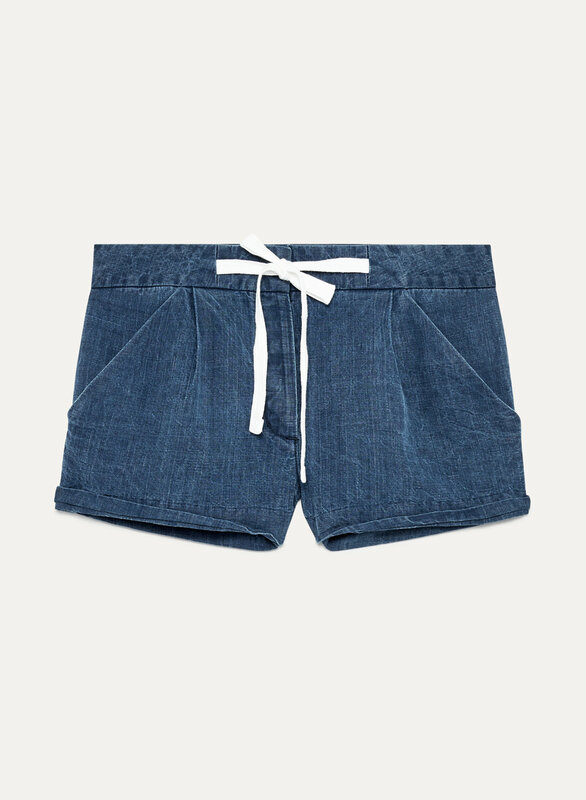 Can't wait for warmer weather to wear these out.